Sometimes you may delete some important files or folders quite by accident and empty the Recycle Bin. In this case, what can you do to recover these files? 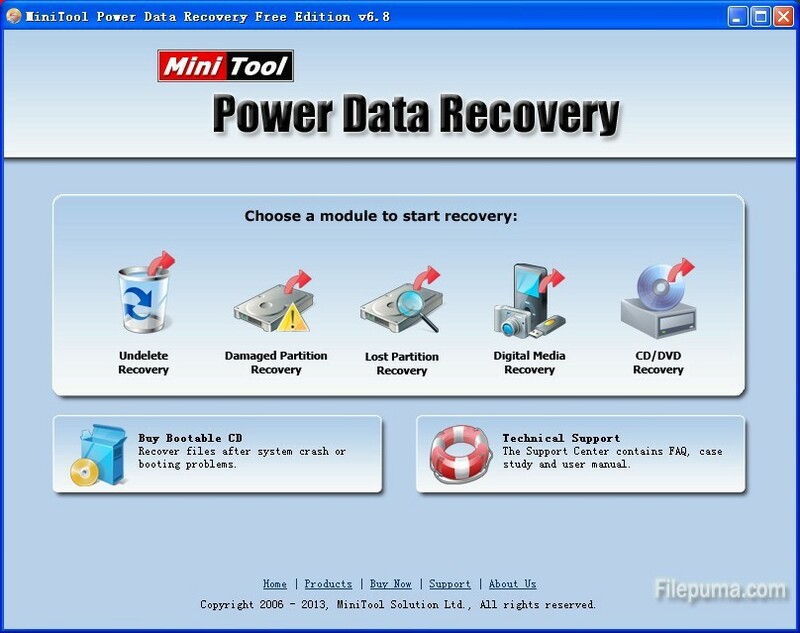 You can refer to file recovery software for help. 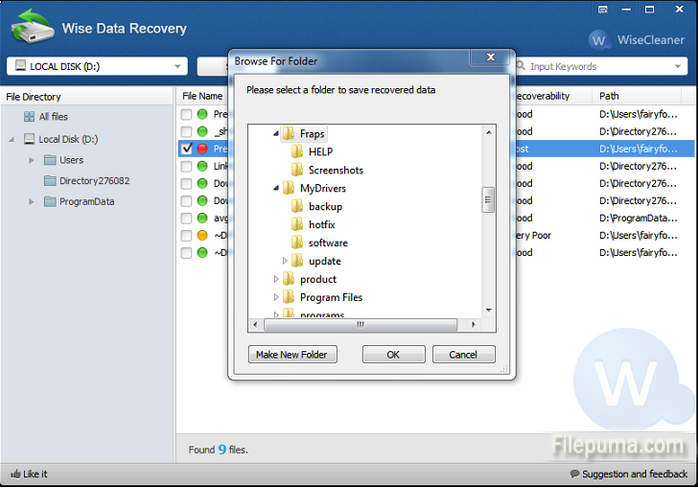 There are many free file recovery programs that can help recover your accidentally deleted files. These file recovery programs can help you “undelete” files on your computer. The followings are several file recovery software that you can choose to recover the deleted files. Glary Undelete is an excellent free file recovery program. It’s very easy to use and has one of the better user interfaces that I’ve seen. Glary Undelete can recover files from hard drives and any removable media you might have including memory cards, USB drives, etc. 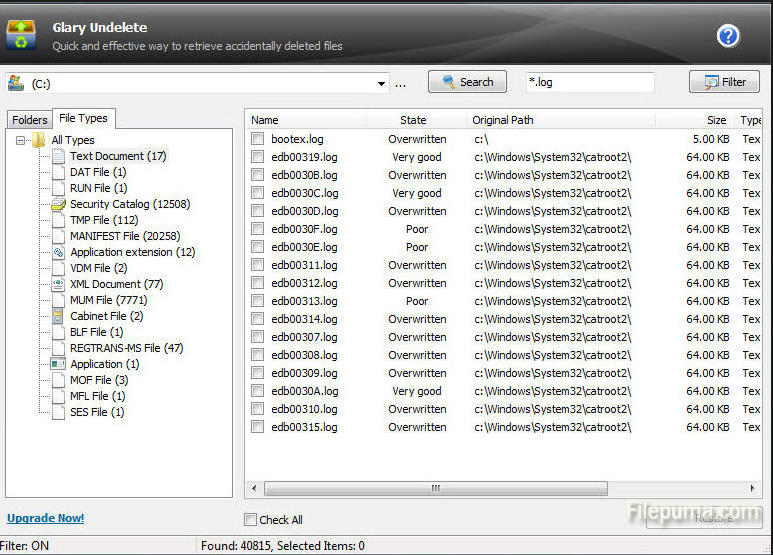 The biggest advantages in Glary Undelete include the easy “Folders” view, a Windows Explorer-style view of recoverable files, and a prominent “State” indication for each file, suggesting how likely a successful file recovery will be. Recuva is a very easy to use file undelete utility from Piriform. It is conveniently available in a portable version. Interface is very user friendly and it only took couple of clicks to get my data back. Any files found are listed, and you can restore anything you need in a couple of clicks. However, it only works great on straight forward recovery. I found that after formatting the disk deep scan could only locate and recover 19 files. Wise Data Recovery does a great job in recovering lost data, including images, documents, audios, videos, compressed files or emails. It can quickly and safely search and recover the file you want as long as you specify the drive, the file type, or the file name. It’s hard to imagine how any undelete tool could be simpler than Wise Data Recovery.There are no menus, no complicated options or dialog boxes: all you do is choose a drive, click Scan, and wait as the program locates any deleted files.